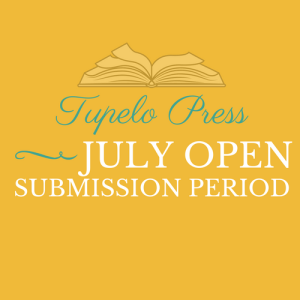 Throughout the month of July, Tupelo Press is holding open submissions for book-length poetry collections (48-90 pages) and chapbook-length poetry collections (28-47 pages). Submissions are accepted from anyone writing in the English language (whether in the United States or abroad). A reading fee of $30 (U.S.) must accompany each submission. Include a cover page with the title of your manuscript, your name, address, phone number and email address. If you are submitting a paper manuscript, include two cover pages: one with the title of the manuscript only, the other with title of manuscript, name, address, telephone number, and email address. Cover letters or biography notes are optional. Include a self-addressed stamped postcard to confirm receipt of your manuscript, and a self-addressed stamped envelope if you'd like notification of July Open Reading Period results. An email announcement will also be sent to all entrants. Read the complete guidelines before submitting your manuscript. 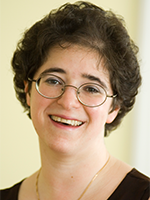 Please enjoy this selection by Lise Goett, who first came to Tupelo Press through the July Open Reading Period with her winning collection, Leprosarium (Tupelo Press 2018). For more information about Leprosarium, and our canon of 100+ books, please visit our website. that seek comfort in the cold and, not finding it, wander. and rarifies it, renders it crystalline. Let heaven anneal your heart and leave it stronger. all that once inflamed you will shatter.